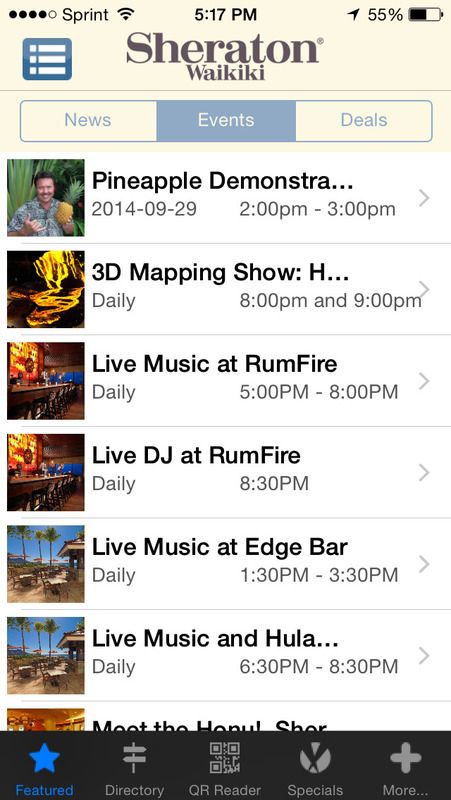 Presented by Starwood Hotels and Resorts Hawaii, Aloha Guide gives you the latest Mobile Deals, News and Information for businesses in your local area. Find some of the best dining, entertainment and shopping you can find in the islands, and find out what they have going on, and what great deals they have to offer. The deals are trustable mobile coupons posted by the businesses that can be easily redeemed with the your smartphone. How? It's easy. Search and find a business you want to visit. Get the information you need, or find a deal you want to use. To redeem a mobile coupon, take it to the business and show it to an authorized employee to redeem it. Find: Search your local area to find event news, businesses and mobile deals. Find a information on a business (ie: hours of operation, special events, menus, phone numbers, location, etc.). 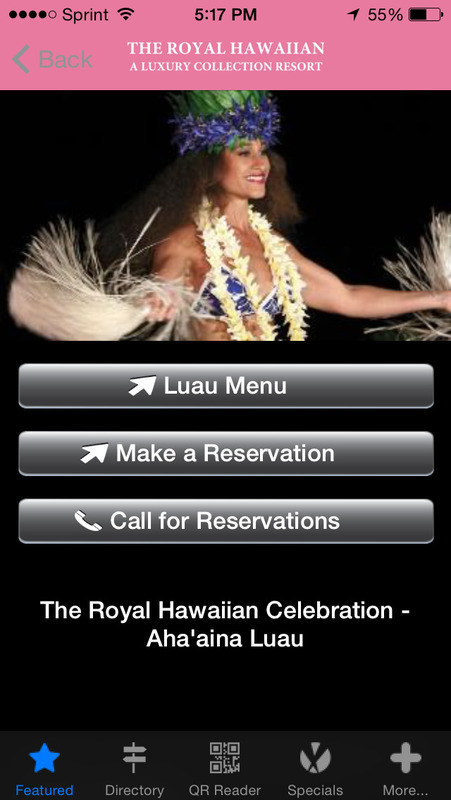 Simply press a button to get directions to their location, to call them, or visit their website. 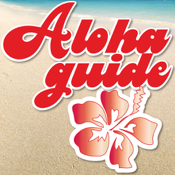 If a business has an Aloha Guide QR code on display, scan it with the Aloha Guide QR reader and it will take you straight to the deal to redeem. "Follow" your favorite businesses to stay updated with their most recent deals. DISCLAIMER : This app uses your location to send related deals on the app. Continued use of GPS running in the background can dramatically decrease battery life.